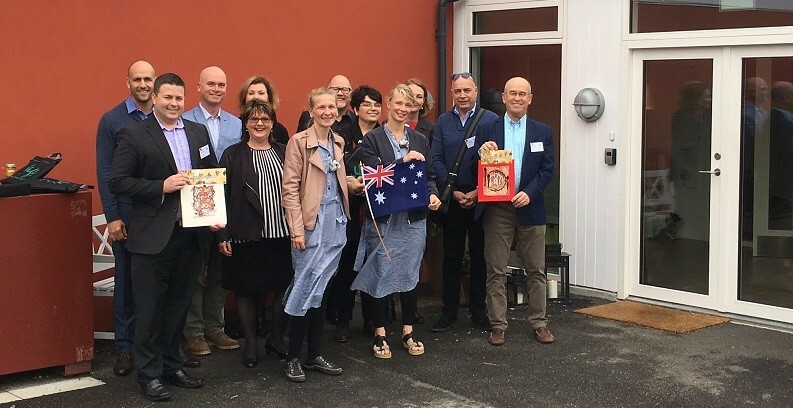 On their final day, before continuing their trip to Sweden and Switzerland, the Australian delegates visited the special nursing home Dagmarsminde for citizens with dementia where they met with the founder Ms. May Bjerre Eiby. Dagmarsminde has a special focus on person-centered care working with the resident as an individual rather than medical treatment. The delegates stated that they were very impressed with this visit and wanted to follow the progress of the organisation. Rounding off the visit to Denmark was a site visit to Danish company Chromaviso for a demonstration of the lighting concept called Circadian Lighting. The concept supports the body’s natural circadian rhythm and contains ergonomic light settings for specific activities and therapeutic purposes.